An interview with Rohene Ward. What couldn’t he do well? Jumping in both directions! Amazing and unusual spins! Flexibility beyond belief! Choreographing his own programs! Signature moves! And all that talent from a kid with a disadvantaged background who had to take several bus transfers by himself to make it happen. And while he never reached the podium at the US Figure Skating Championships, Rohene Ward became one of the most well-known and beloved crowd favorites American audiences had ever seen. Rohene Ward talks about his first pair of skates, how he learned to jump both ways, the sacrifices by his coach to support him, and overcoming incredible racism. 32 minutes, 26 seconds. On his most embarrassing skating moment: On-ice, it would have to be 2006 US Nationals. Falling on footwork and a million other things [laughs]. But I got up and I smiled, and stuck my tongue out at the camera, and made everybody laugh, so it was cool. I think I got off the ice and said, I never want to feel like that again [laughs]. It does take a lot to make me embarrassed. Stupid stuff, like I’ve flown into the audience millions of times and landed on their laps, and that’s not embarrassing, it’s…bad [laughs]. On starting in skating at age seven: My first pair of skates was from the Salvation Army, they were five sizes too big and they were vinyl. My mom thought they were magnificent when she found them [laughs]. The first time I skated, I was on a field trip with a summer program, they took us to the rink, it was a public skating session and I was watching whoever was on the ice, and I was just like, oh, I can do that. So I put my skates on and went and did it [laughs]. It was a waltz jump, probably. I just remember running from the rubber [mat] and onto the ice without even trying to balance. It was like, as soon as I was out there, pfft, can’t touch me. Seriously, it was like a safety net, they had to physically pull me off the ice. You had to come and get me to get me off the ice. I had roller skated so I did know how to do that really well, and there was no fear of the ice. It was, this is fun, come catch me, tag, you’re it [laughs]. I would like to think I was a natural talent, because by the end of the public skating session, this coach was watching, and she said, oh, you guys should put him in lessons. And I’ve been skating ever since. I didn’t start in [ISI] Alpha or Tots, they put me in Beta and I just passed through, because I could already skate forwards and backwards. And when I was in classes in my little vinyl skates, I was skating circles around everyone in the studio rink. And they wouldn’t even bother me, they would just teach the group classes to the rest of the group and I would be doing my own thing around them [laughs]. On his first coach, Gailene Norwood: She was my grandmother, she still is. But she knew that she didn’t have the knowledge to take me where I wanted to go. So she found me Page Lipe and Richard Zander. Richard was in the 1988 Olympics for Germany, and he and Page were teaching together at the time. And Gailene got me a tryout lesson with the two of them, and I began taking from Richard first. I’ve never met any of my grandmothers, so she played that role. If I needed to eat, she made sure I was fed. If I needed tickets to the rink, she made sure I could get there. If I had to go work out or to ballet or to costume fittings, whatever it was I needed to do, she was always there and willing, even if it was her last time. There were many times when we would travel and she would sleep in the bathtub because there were so many kids in the room, so we could have the beds. She didn’t just do this for me, she did this for many kids. On his background: Between my mom and my dad, there are six kids. And I went to the worst public school in Minnesota, and our area had a lot of gang activity. But as soon as I stepped on the ice, it became a safety net. No one could touch me. And that’s huge, when you come from where I come from. Being safe and feeling safe, they’re two totally different things but they’re very much the same. And at the time, as a kid, [skating] was my safety net. And that made me hungry, because I just wanted to be there all day. I didn’t have to worry about anything, walking down the street, getting hurt, getting beat up, getting talked about. I could just go skate and do my thing and not be worried. But on the other hand, I am glad today now that I grew up where I grew up, because it makes you appreciate things a lot more. When you’ve had to work and struggle and fight and claw your way there, instead of just having it handed it to you. And it wasn’t just that they paid for everything, they saw that I wanted it. I took the city bus, like, from the age of eight, every day to the rink. I skated in the rink downtown, and the car ride was maybe fifteen minutes from my house. But there’s that invisible line, from downtown to the ‘hood [laughs]. I lived there, and I just, you know, I would take the bus. I remember the first time, my mom gave me a note, and she said, you’re going to walk up to 26th and Lyndale, and you’re going to catch the 22, and you’re going to take that to 5th and Hennepin. And you’re going to sit right behind the bus driver, and you’re going to tell him you want to get off at 5th and Hennepin. And when he lets you off, you’re going to ask him, where do you catch the 4, the 12, or the 28. And he will tell you where to go, and you walk to the corner and you get on that next bus, and you sit behind the bus driver, and you ask for this street, and he will call the street name, and you’ll get off and you’ll walk down the road to the rink. I will never forget that. And I did that because I wanted to. My mom was like, I have a life, and if you want to skate, you’ll get to the rink. And I got to the rink. If you wanted to do it, you have to do it. Granted, I had to do those things, and that’s what made Page and Richard and Gailene want to teach me, because they saw that I was driven at a very young age and I wanted to be there. No one was forcing me, this was just true love. On being underprivileged and skating with kids that were better off: As a kid at that age, I knew but I didn’t know. 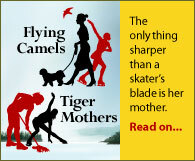 As long as I had skates, I didn’t want what everybody else had, because I could do it in mine. So it didn’t matter to me. Do you want these skates? No, I can do it in my vinyls. Don’t hand me the petticoat. I was never like that, I was always [snaps fingers] I can do it, it doesn’t matter. I wasn’t a material person. Even at school, when I was a kid at school I was like one of the bummiest kids in school, my clothes would be wrinkled, and I would be, like, I don’t care, I’m going to the rink. At that point it didn’t mean much to me. The only thing that I knew was different was my behavior. I was much louder, and I had no filter as far as what was appropriate to say and what was not appropriate to say. I thought that everything was a joke, almost. I would be in the rink and running around with this big smile and flicking the lights on and off, you know, just being a 12 year old or an eight year old kid. But versus running in the streets, I was running in the rink. With the same effect. Like a tornado [laughs]. When I was 15, 16, that was definitely the year that it changed. By that point I had been to Nationals multiple times, the stakes are higher, it was becoming more expensive. I was a junior at the age of 13 so I was giving interviews and things, and my coach was like, uh, you have to watch the way you speak, you can’t talk like this, you can’t talk like that. And that’s when I finally recognized, well, I was black, and in a sport that was predominantly white. And there was something wrong – well, not wrong, but there was just something not, you know, that I wasn’t exposed to. And how to balance at 15 – I want to fit in my community, but I want to fit in at the ice rink as well. And that was a very very very tough time for me. It was really really difficult, because that’s when my insecurities of being underprivileged and different started to affect me. Especially when I was skating, even in my safety net, it was now threatened. Because I wasn’t just a little kid anymore, it was, like, well, he’s black. As a black male, it’s interesting, but that’s what was being said to my coach. Like, you’re staying in the same hotel room as him? He’s a 15 year old black male. But they didn’t know my heart, and she did. And shame on them for saying and thinking that, but that was the reality I lived in. We were kicked out of skating clubs because of me and my behavior, or my “lack of” discipline and too much talent. Like, I walked around with smiles on my face all day, and I could be on the ice and have fun and chit-chat and still get my job done, and to them, they thought that I was undisciplined and didn’t work because I did opposites. Well, my coach told me to do, and I’m glad she did. They thought I was goofing off, but she knew what she was doing, she kept me occupied and focused. And she tried to keep those things away, but it’s hard to keep those things away when you’re compared to OJ Simpson. It’s like, those are the kinds of things I didn’t realize at that age, but when I was 15 it was constant. [snaps fingers] Constant. When I look back at those things, it’s like, wow, and to think that I was going through that. I feel like I dealt with it very well [laughs]. On taking dance lessons: As a kid, dancing was just natural. I danced probably since I was out of the womb [laughs]. I took tap as a kid, and tumbling, I did those first. And then I did hip-hop for a really long time. And then when I turned 13, I started taking ballet at the Minnesota Dance Theatre. 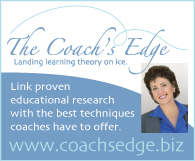 From there, the instructor started coming to the rink and she was teaching it there as well. So I was taking it at the ballet studio and at the rink twice a week. And a year later, she became my choreographer. By the time I was taking dance, I would get on the bus and I would go to the studio Tuesdays and Thursdays. Mondays and Wednesdays I would take the bus to the Calhoun Beach Club which is where we worked out at. And then I would have to take the bus all the way home. On doing his homework: That was the glory of the school I went to [laughs]. All I would say was, I’m going to the rink, even though I have a test, and they’d say, great. Because I was doing something positive. So I did my work at home the best I could, and if I was gone for two weeks, I’d come back and they’d be, like, oh, okay, just pick it up where we left off. No one from my high school was bringing in the news, or the newspapers, or any kind of positive media, besides our basketball team. Of course we had the number one basketball team ever, you know? [laughs] But other than that, I was the only positive thing being fed to the school. It wasn’t until I was a senior that the teachers were, like, oh, you’re not going to [do that]. There’s always those teachers that are real hard, and I’m glad I had those ones too because they made me do my work. But, uh, I took advantage of that a little [laughs]. When I was away for two weeks, I was at an international event and then at the Olympic training camp, so I was there. If I was gone for an extended period of time and didn’t hand something in or whatever, they would be, he’s just doing his thing. Not a big deal. So that was great [laughs]. On his brothers and sisters: My mom only had two kids, and by the time I came along my sister was 10. So by the time I was six, she was out of the house. So I was like an only child. My mother and father were separated, they didn’t live together, and all my other siblings, from my dad’s side of the family, they lived in California, and I never met them until I was in my twenties. On jumping and spinning in both directions: I was at the rink so much that I was jumping on the floor if I wasn’t on the ice, I was always trying to occupy my time with something to do that involved skating. And the next best thing was jumping in the other direction. In ISI [Ice Skating Institute tests], once you get to a certain level, you have to do things in both directions. And I would be at the rink all day, and say there was a public skating session in the middle from 11 to 1, I would go out and just do the entire public skating session in the opposite direction. And I would try to retest all my ISI levels from Freestyle 1 all the way through to Freestyle 10 in the other way. Just because I was bored and I needed something to do [laughs]. I did figures and I passed my first figure, but I did figures long after they were done. But when I hit 14, that was when Page was like, you have to do a freeskate every day in the other direction. Because that’s when my doubles were coming, and she was all about footwork on both sides of the brain, and she just felt like it was a good thing and a useful tool, and something that would make me very different from everybody else in the future. All of Page’s kids must skate ISI, and she has had, I think, four or five kids pass ISI Freestyle 10. She’s a very big supporter of ISI. And her rink just had a big ISI competition in March and they competed in figures as well. She does figures class and everything still, she’s a fundamentals kind of gal. I can land a lutz one way and then pick and land it the other way, but it takes a lot of headbangers. I hit my head over and over again learning that, but there was no fear factor, it was like, throw your body and go. But you know, the glory of doing the jumps the other way is that it also retaught me my technique. So when I got my doubles in the opposite direction they were actually better than they were in my normal direction. The takeoffs were more precise and everything was just a little bit better the other way, which is, you know, now that they have Dartfish , we put my triples both way on Dartfish, and the takeoffs and the landings are the same, it’s really crazy that they could be so much the same. It’s really cool. If anything, jumping both ways is longevity, because you’re not jumping one side all the time. People get wound up doing it, and it’s like, go do it the other way once, and re-wind yourself from going that way so much. It’s like a relaxing reset. But in competition, if I did the opposite jump but not the rest of my other stuff, they’d be like, we don’t care if you can do it because you’re not landing the rest of your triples. You have to land those and then we can reward that. It was always something [laughs]. On his flexibility: It was natural to a point, but it was something that I really wanted and really worked on. I would go to the rink around 10 o’clock, skate for an hour, do interpretive to some Disney songs, and then I would get off the ice, open my notebook, write down the names of all my favorite skaters, and there was this jukebox on the side, and I would press play, and each song I would do a different skater, and I would judge them, I would have marks for them. And then I would go and watch the 1992 Olympics in the coaches’ room, on the TV, and then I would get back on the ice and put more music on and skate. And then I’d get off and take my skates off and stretch for hours, and then put my skates on and practice my spirals because I wanted them to be like Michelle Kwan’s. It was constant, all day, every day, go home, watch skating, I’d be sitting in the splits because I wanted to stretch. It was a constant thing. Even my Teenage Mutant Ninja Turtles were doing turns. With music [laughs]. On nerves in competition: It’s taken a long long time to be able to sit back and not get emotional about what was my problem. I competed at ISI Worlds in Seattle (1996) and Rohene was there (not in my category 🙂 ). He took the ISI Freestyle 10 test two years later, but IIRC was already doing most of the elements in it. I had never, and I mean never, seen someone skate like that. I’m still blown away by it. I enjoyed reading this interview with Rohene, I love his skating. Just read up on him elsewhere on the web and was happy to see that he’s performing and coaching.